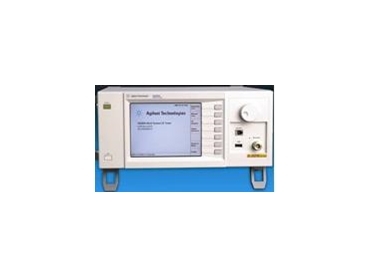 Agilent Technologies have announced the availability of the N9360A mobile station tester as a standalone one-box test set for cost-effective mobile device test in service and repair, manufacturing, and R and D applications. The N9360A mobile station tester’s low-cost network emulation and Go/No Go test capability make it suitable for test engineers and technicians who need to test the parametric and call processing performance of GSM/GPRS/E-GPRS, W-CDMA, HSDPA, cdma2000(r) and 1xEV-DO mobile phones when budgets are constrained. Agilent Technologies N9360A mobile station tester is designed with core test capability to make it suitable for multiple applications, including quick-check mobile device RF and call processing test required by designers, Go/No Go cellular handset test for mobile device service and repair technicians, and basic calibration test in manufacturing. The N9360A mobile station tester is also configured as the one-box tester in Agilent Technologies’ GS-8210 mobile station test system, which provides user friendly, automated mobile test for UMTS and cdma2000/1xEV-DO devices. The N9360A mobile station tester features easy-to-use automated test procedures and shielded DUT test enclosure, enabling operators to successfully use the GS-8210 to perform mobile UE test. The N9360A mobile station tester is expanded or upgraded with firmware and hardware to accommodate multi-format applications.